Vicki White Homes has extensive knowledge of residential Real Estate, and share a commitment to deliver the highest level of service to their clients. 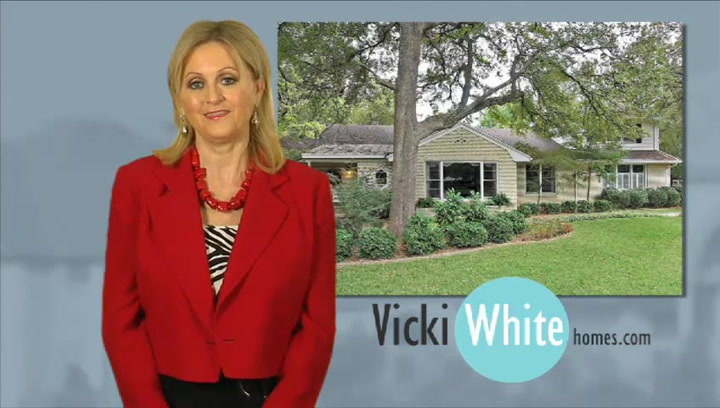 Realtor Vicki White understands the needs and desires of buyers and sellers alike. She has purchased and renovated more than 20 homes, not only selecting the properties but designing and implementing the renovations, staging them for sale. She has owned and operated a highly successful staging business working on properties from $100,000 to $3,000,000. Vicki "set the stage" to make her clients homes appealing to buyers. She has also worked as a construction project manager acting as liaison between developer, contractor, buyers and residents. Vicki is part of the Keller Williams Dallas City Center team, who are "blazing the trail where real estate in Dallas is going". Their agents utilize an optimal balance of time proven techniques along with the latest innovations and technologies to deliver value to each of their clients. Active, involved and growing are adjectives that describe their agents. Dallas City Center has their finger on the pulse of the Dallas real estate market so that yours doesn't have to be! In addition to her realtor experience, Vicki, a native Dallasite is highly energetic and enthusiastic. She has a lifelong passion for the real estate industry, and for passionately serving her clients. Please contact Realtor Vicki White with any questions or inquiries. She and her team look forward to working with you to make your Real Estate dreams a reality!